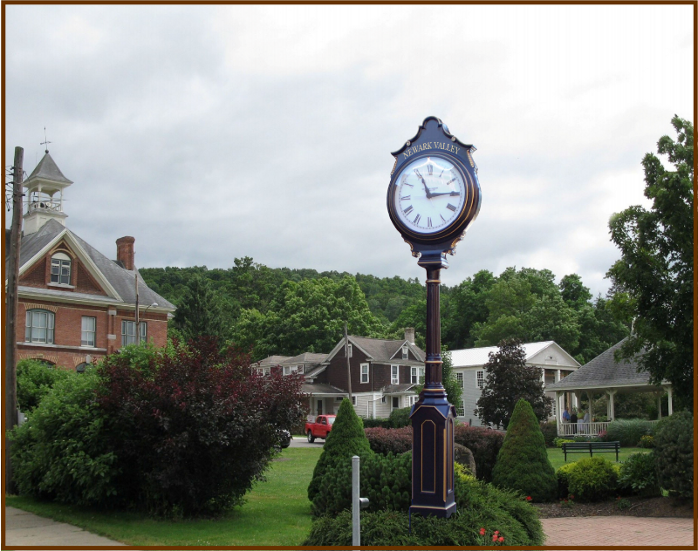 A friendly community with a special affinity of the village historic legacy and "small town" living. 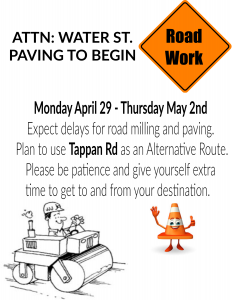 Water Street to be Milled and Paved the Week of Monday April 29th. 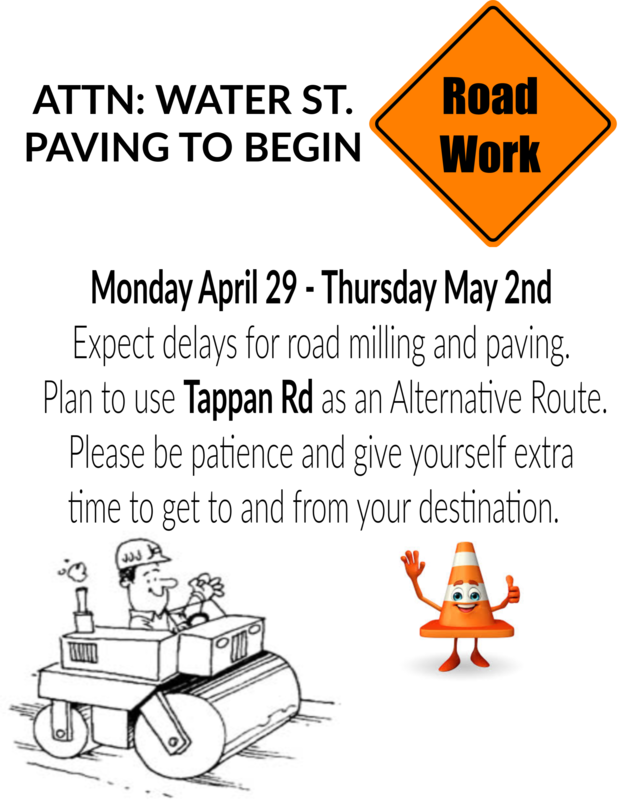 Please plan accordingly for road closure delays. 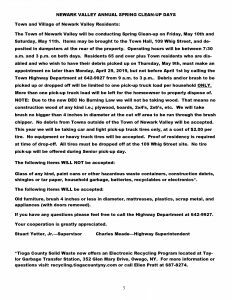 Tuesday April 23rd the Village Office will be closing at 3:00pm so that the staff may attend a mandatory training session. 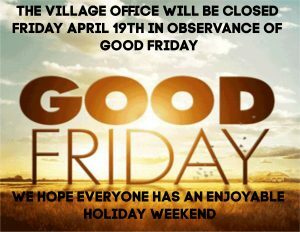 The Village Offices will be closed Friday April 19th in observance of Good Friday.